Click here to view the church bulletin. So much to talk about, so let’s get right to it! First, a special thanks to everyone who had part in last Sabbath’s programs. The PAES kids were just great! They are tomorrow’s church. And then it was so special to add Pastor Jonathan to the ranks of “ordained” Seventh-day Adventist pastors. Sunday evening, the church in business meeting, voted to proceed with Sunnyside ReNew Phase 2.1, which will be a complete redo of the fellowship room and youth room. This will include the finishing of the new storage annex, new carpet (hooray! ), new audio/visual media systems, and overall redecorate. The cost is $185,000, of which we have the first $85,000. This means we need to collectively each consider our part of the additional $100,000. Also voted, ReNew Phase 2.2, which is a redo of the four main restrooms, $60,000, to commence once Phase 2.1 is finished, paid for, and the funds are raised for the next part. Many have also asked that we not forget our outreach ministries. The church board on Wednesday evening voted a $28,000 budget for 2014, which will be garnered from, $5,000 – the Oregon Conference, $13,000 – Sunnyside outreach reserves, and $10,000 – from the “Life on the Sunnyside” banquet this Sunday night. (That’s scheduled for 5:30 pm. Please, plan to attend.) Neither with all of this can we forget our church budget needs. It is only asked that at this end of the business year, we each consider what our sacrificial part in these needs might be. This Sabbath, we will celebrate our second Thanksgiving Sabbath, this one under the theme, “Gracious Gratitude,” with music in worship presented by our choir and the Sunnyside Handbells. See you Sabbath! Happy Thanksgiving (and an early, Merry Christmas)! Sabbath worship services are at 8:45 and 11:15 am. Pastor Scott LeMert will be presenting our Bible message entitled Graceful Gratitude. 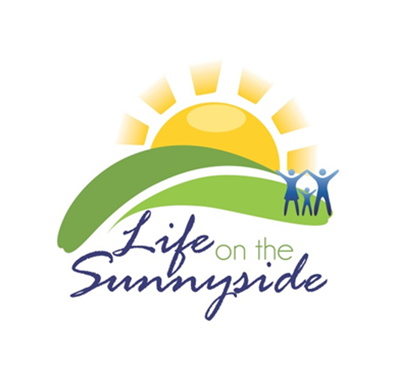 Life on the Sunnyside banquet will be December 1, at 5:30 pm, here at the church in the fellowship hall. This is a once-a-year banquet to raise funds to support our local outreach programs. – A way to make a difference! We know that the issue of homelessness occurs in our community and that it seems like an overwhelming problem. We have an opportunity to make a difference and to respond to the great commission – to go out into the world and spread God’s love. We can do that both internationally and locally. Women’s Ministries and Sunnyside Family Resource Network are working together to support a formerly homeless family as they transition from temporary housing to permanent housing. A team from Sunnyside will be formed to assist a selected family as they make this important step. The team will help with setting up the new household, get settled into the community, set family and budget goals. Most important, we have a unique opportunity share God’s love in a meaningful way. The family will be selected by a community nonprofit organization – the Village Support Network. This organization is experienced in this activity and will provide training and support. You can pray for the work of the Village Support Team and the family who is making the courageous change. You can be part of the team to work together to help a family in need, There will be a training session on January 26. If you cannot make that session, alternative training can be provided. Our team will be comprised of six to eight members. The time commitment will be four to six hours per month for a six-month period of time. This is an exciting opportunity and a great way to demonstrate God’s love through local mission. Please contact Dianne Glovatsky 503-706-5611 or Kathy Pruitt 360-253-3131 with questions, or to volunteer. Christmas Season Readings in the Prayer Room on Wednesday evenings at 6:30 pm. You are invited to join us as we consider God’s greatest gift – Jesus, who voluntarily left His position in heaven to become a permanent member of our human family – now fully human and fully divine! Come to listen, read, and be blessed by the most amazing story ever told! Alex Buchanan, Gladys (Marie Pierre’s sister), Donald Gren (Conrad’s father), Michael Hamilton, Nick Jones, Nancy Ruhl, the people in the Philippines, those in the Midwest who have suffered tornado damage, and all who have financial, spiritual, and health needs. For comfort and peace for Jim and Vivian Robertson on the death of Jim’s mother, Phyllis Robertson, November 13. There will be a memorial service for her December 4, 1:30 pm, at Hearthstone Murrayhill in Beaverton. Korean exchange students attending PAES. – 7th grade Korean boy attending Jan. 6-Mar 2. – 8th grade Korean girl attending starting immediately through December 20, possibly through Feb. 14. Compensation for expenses will be provided. Please call Barbara Plubell at 503-665-4102 for more information. December 6-8 and 13-15: Bring your friends to the 12th annual Follow the Star live nativity and holiday musical event at 19500 Oatfield Rd. in Gladstone. Free tickets are available at www.followthestar.us but are going fast. A limited number of free tickets will be available at the door each evening for those who come without online reservations. For more info go to www.followthestar.us. December 13, 7:00 pm: Tabernacle Church Christmas Choir & Orchestra performs a beautiful Christmas cantata of praise and promise that is sure to inspire and comfort. Bring family and friends for music, fellowship, and a reception of treats and hot cider. This annual event is free to everyone. The Member Ministries & Evangelism department in the Oregon Conference Office is looking for a full-time administrative assistant who is excited about working for the Lord and his people, and has strong interpersonal, organizational, and computer skills. To see a full job description and/or apply, please visit the Oregon Conference Employment page at http://www.oregonconference.org/employment-home.